Experience is essential to any employer when considering an applicant. That’s especially the case in the sports industry and for two sports management majors: sophomore Matt Borkan and senior Ralph Cassanello. Borkan and Cassanello currently work as a ticket sellers with the Bradenton Marauders, the Pittsburgh Pirates single-A team. Borkan also sells tickets for the Pirates Spring Training games in March. “I sell tickets to regular people,” Borkan said. “I try to get them the best seats I can that are available.” Borkan mentions that the process of getting fans tickets goes through a computerized system and that fans have to go to the ticket office to purchase tickets since they do not conduct ticket purchases over the phone. One of the connections he made was with the owner of the company, Ken Zore, to whom Borkan has become a right-hand man to. Zore was a former employee with the New York Jets and the New York Islanders. After Borkan’s internship with Zore, he helped him get an internship with the New York Islanders where he worked in the retail department as an intern in addition to interning with the Marty Lyons Foundation. He also credits SEMS (Sports Entertainment and Management Society) for helping him get more involved in the sports industry. SEMS was started at UT in 2008 as a way for students who studied sports management to gain experience. “One of the most important things about being a UT student and being a sports management major is [to join] SEMS because the connections I’ve made have really helped me,” Borkan said. 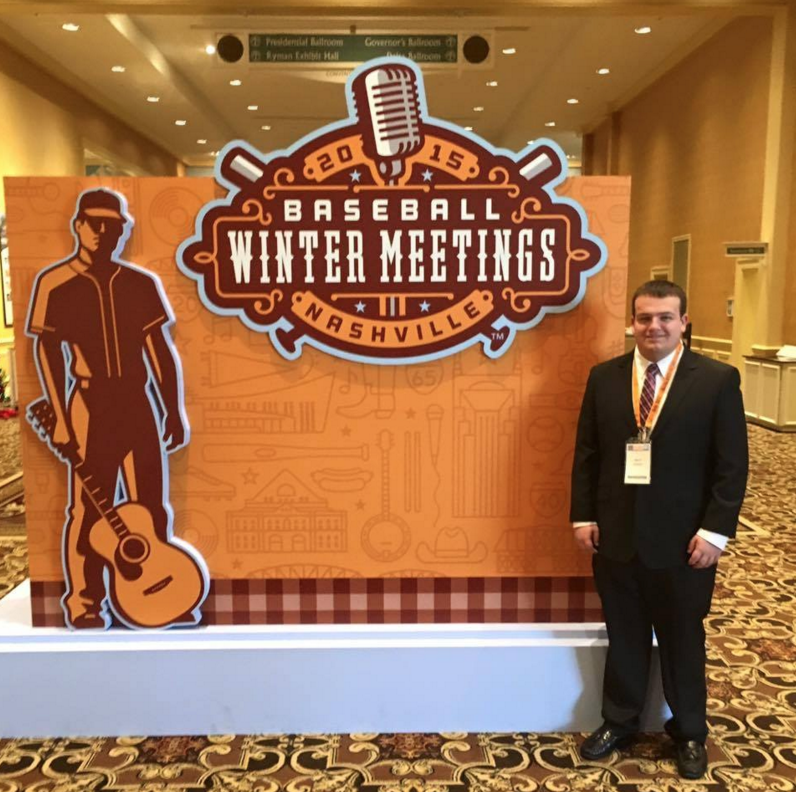 SEMS coordinated a trip to the MLB Winter Meetings in Nashville for 22 UT students to network with baseball clubs from all across the country. As a result, 66 job interviews were conducted with teams from all levels of minor league baseball. Borkan had interviews with four clubs, one of them being the Bradenton Marauders. Another club that interviewed him was the Staten Island Yankees, a single-A affiliate of the New York Yankees. Borkan attended a follow-up meeting in December where he found out that he’s going to intern in the team’s ticket office this summer. Incidentally, one of the connections he made was with Cassanello, the former president of the club and fellow Marauders and Pirates Ticket Sales Representative. His job was to contact former ticket buyers and get feedback on their experience at the games they attended. In addition to working with the Pirates, Cassanello has also worked in the Guest Services department at Amalie Arena and in the Broadcast and Statistics department with the Tampa Yankees, the single-A club of the New York Yankees. Cassanello discusses more about what he learned in various experiences. “What I learned the most about outside the classroom work was how crucial it is to understand the skills you attain through part-time or volunteer roles,” Cassanello said. Some of the skills that he’s learned in working with these teams included guest relations, learning ticket databases and how to use statistics and their production programs. He became the president of SEMS during the second semester of his sophomore year at UT and went to the MLB Winter Meetings where he first made connections with the Pirates. However, SEMS seems to be the driving force in helping student network within the industry. “There is no doubt that the club is designed to develop our students and gear them for an entry-level position,” Cassanello said. Brandon Brown, sports management professor at UT and faculty advisor of SEMS, provides feedback of stories that students have told him about working in sports. In his role as faculty advisor for SEMS, he meets with the top executives to discuss the budget, activities and plans an itinerary for upcoming events on top of providing additional pointers and advice. Above all, teaching the courses proficiently and passionately seems to be the focus of the sports management department.